Red Reserve also beat FaZe to go 6-1 in the first two weeks of Stage Two. Despite a rough start to Stage Two of the Call of Duty World League Pro League, Evil Geniuses will head into the second half of the stage near the top of the standings. EG narrowly lost their first two matches of Stage Two, falling to both Echo Fox and Splyce in five-game series. The team’s narrow defeats seemed somewhat troublesome, with some fans believing that the early losses may be a sign of poor team chemistry. But EG proved in the following five matches that they not only are one of the most cohesive units, they are also one of the very best Call of Duty teams in the world. 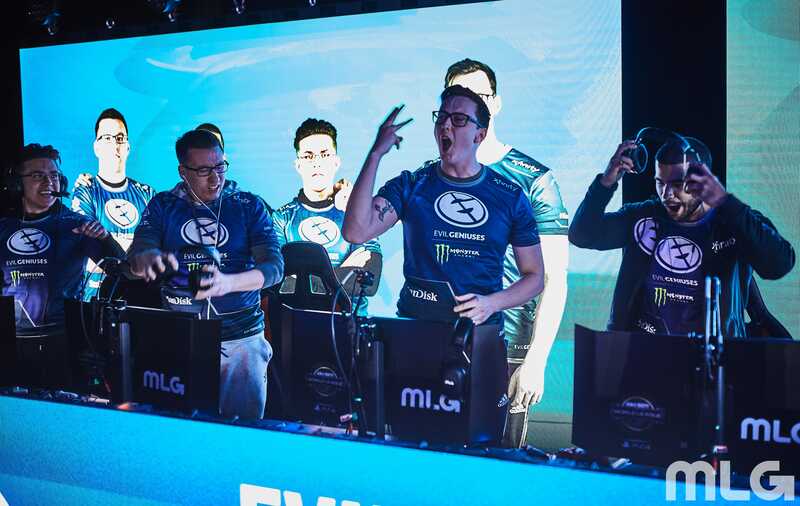 EG won the next five games after those two early losses, with the fifth coming today in a sweep over Team Kaliber. Although the series score looks like an easy victory for Evil Geniuses, it was anything but that. In the opening game of the series, Gibraltar Hardpoint, EG looked like they were going to win by a comfortable margin until Team Kaliber was able to take 40 uncontested points on the final HP of the game to get within just five points of victory. Fortunately for Evil Geniuses, EG was able to push out the tK players and seal the victory, 250-245. The next game, Sainte Marie du Mont Search and Destroy, was another hard-fought win for EG that came down to the wire. In the 11th and final round of the game, EG’s Adam “Assault” Garcia killed Lamar “Accuracy” Abedi of Team Kaliber in a one-vs-one situation with just seconds to spare to clinch the map win. With momentum on their side and tK presumably still thinking about their Search and Destroy loss, EG were squeaked out a third map victory on Flak Tower Capture the Flag to close out the series. The series win put EG into second-place in the eight-team Division A with a 5-2 record. In the other matches on Thursday, Splyce reverse swept Epsilon to begin the day, Team Envy defeated Echo Fox in four games, and Red Reserve took down FaZe Clan 3-1 to solidify their spot atop the Division A after two weeks. The CWL Pro League will return on Tuesday, May 29 when Rise Nation vs. UNILAD kicks off the first week of Division B matches at 1pm CT.